We provide video wall mounting solutions that are designed with integrators and end-users in mind and provide the versatility demanded by installers. The mounting solutions have an enhanced feature set centered on ease of installation and serviceability to minimize installation time and associated costs. Our video wall mounting solutions feature easy-to-hang wall plates for a simplified install, reusable wall spacers that eliminate guesswork and on-site installation calculations to reduce the time and cost of installation, and enhanced cable management which allows cables to effortlessly travel in and out with the display. They also include quick release pop-out levers which provide convenient access to recessed applications without risking display damage or searching for hidden pull strings. 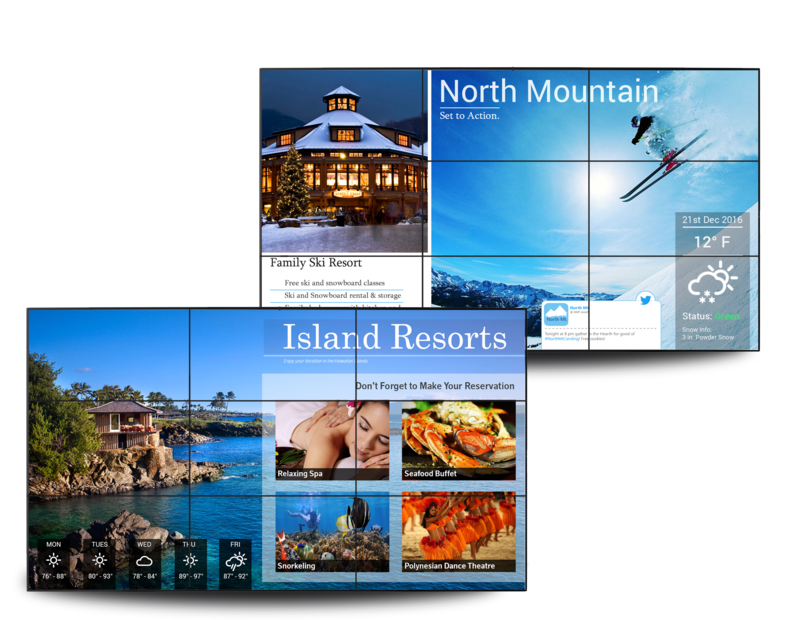 The mounting solutions also include tool-less micro adjustment so mounts can overcome uneven walls to create a seamless video wall display. Video wall mounting solutions with an enhanced feature set centered on ease of installation and serviceability to minimize installation time and associated costs.